Neenah, WI – The innovation and reinvention of processes related to the Electronic Logging Device (ELD) mandate earned J. J. Keller & Associates, Inc. a 2018 THINC! 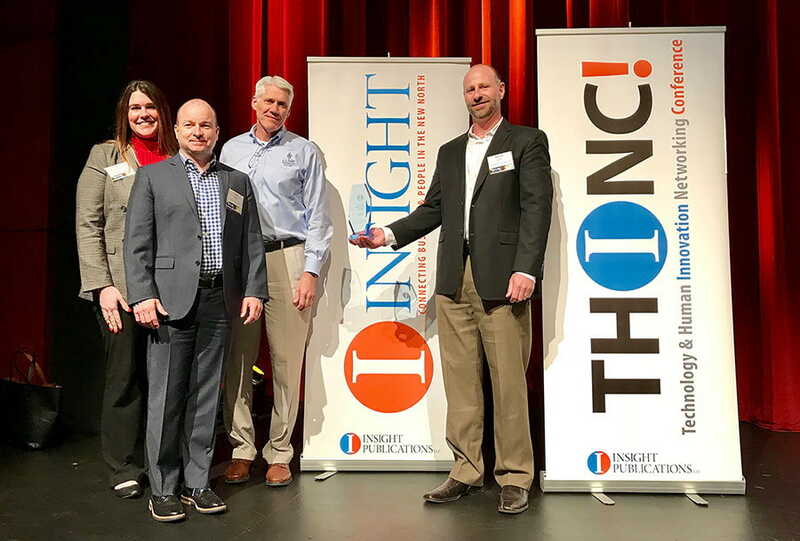 Innovation Award from Insight magazine. Rustin Keller, executive vice president and chief operating officer at J. J. Keller, along with representatives from the company’s ELD and Encompass® fleet management system teams, accepted the award in a ceremony on May 10. The award was for innovation in the category of Process. The Insight Innovation Awards are designed to recognize innovation among businesses in Northeast Wisconsin, celebrating companies that make an important, positive impact in terms of People, Process, Product and our Planet. The company was nominated for the award by the editors of Insight magazine. The nomination highlighted J. J. Keller’s IT professionals and the 10 patents the company received over four years for its ELD solution.